In 1979, a Steering Committee was formed to create a non-profit photographic membership organization serving southern Nevada residents. 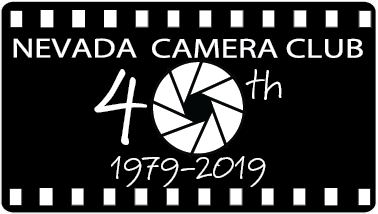 The six member Steering Committee founded Nevada Camera Club which was launched in October, 1979. Sam Chellino, Paul Ginter, Keith Grove, Jim Starks, Chuck Swift, and Joe Wilson held the first Nevada Camera Club annual election of officers on February, 1980. NCC members who subsequently served as President are listed below.